Having a roof over your head should be a right, and not a gift that the government chooses to give you, Adrian Delia told supporters in San Ġwann on Wednesday. The PN leader was referring to comments by Prime Minister Joseph Muscat that the government will not be dishing out housing units like Father Christmas. Dr Delia reiterated that the government had no plan when it came to social housing. “This is an acute problem that will continue to grow because of this government’s policies of increasing the population through the importation of foreigners. This will have long-term effects that we are already feeling the brunt of,” he said. On the other hand, the PN was guaranteeing a roof over the head of every Maltese person when elected to government, Dr Delia added. The Opposition leader criticised “lack of long-term planning in every sector” - while people could not afford to buy a house and youths did not afford to rent an apartment, students were being taught in containers. Dr Delia was referring to news that children in some state schools have to attend lessons in mobile classrooms because no more space is available since a planned building programme is behind schedule. 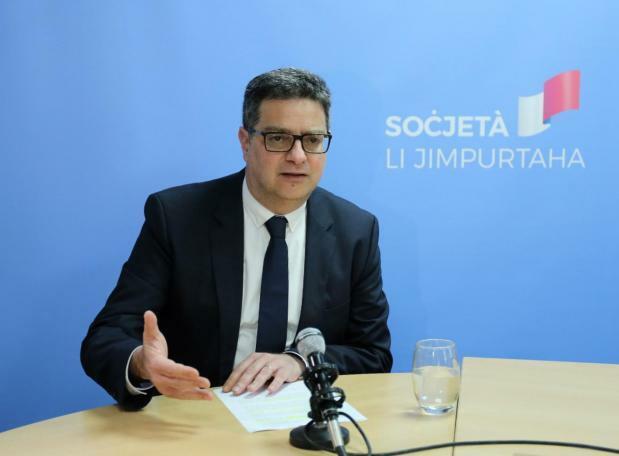 He insisted that while the government claimed that the housing problem would grow, the PN spoke of people, rather than statistics, and provided a guarantee that everyone had a right to a roof above their head. The Nationalist Party had already started working on economic models that had worked in the past. When it was in government it had created jobs, changed the country’s infrastructure and dodged damage during a world recession, he noted. “The PN is a clear alternative – it will use its time in Opposition wisely. Over the past months we have strengthened the party, so that we can then focus on the solutions that we can provide,” Dr Delia added.